I have experimented with granola lately and my coworkers have been my guinea pigs. I really tried to push the boundaries with this granola, and I hit the mark for one colleague and missed for another. I was happy that it was bold enough to inspire strong reactions, so it felt like a successful experiment! Trader Joe’s has recently added to its shelves several products that inspired this creation. One such product are dried, crispy orange slices. These orange slices are really not like anything I have ever tasted before — they are crunchy and crispy with a slight citrusy brightness. I added them to the oats mix to add an intriguing twist. 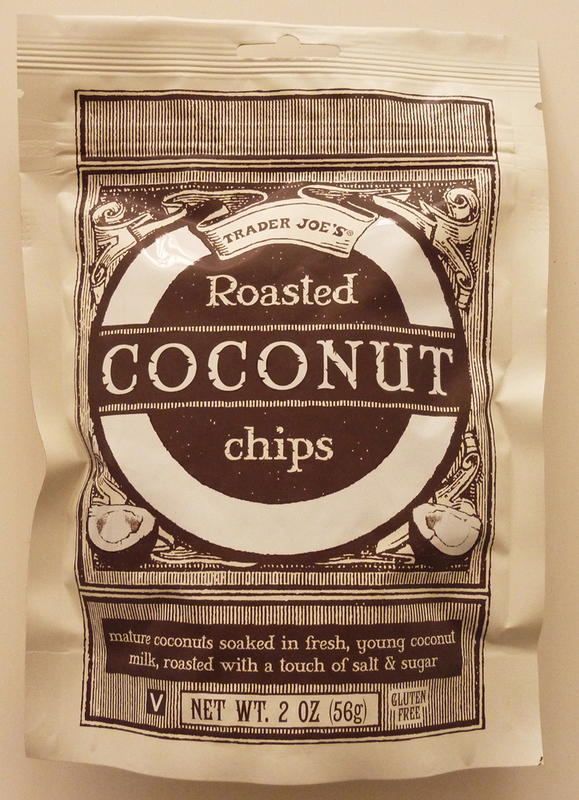 I also love the coconut chips that are relatively new at Trader Joe’s. The size of these shreds are perfect for granola-making! 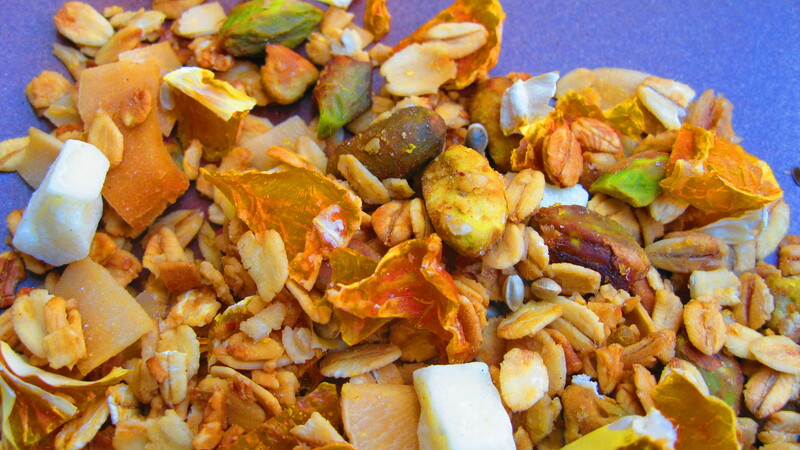 From there I added ginger in two forms (powdered and crystallized), cardamom, coconut, and pistachios. I added white chocolate to balance the acidic/warm nature of the other ingredients. The white chocolate added a fatty, mellow flavor and smooth bite. The chocolate in these two recipes has been met with some skepticism — I add it to create a more indulgent treat. Look for more wholesome iterations in the future! In a large bowl, mix together oats, pistachios, coconut, crystallized ginger and brown sugar. In another bowl, mix together agave, orange juice, Cointreau, vegetable oil, orange zest, cardamom, powdered ginger and salt. Pour mixture out onto a cookie sheet and spread evenly. Cook granola for 1 hour and 15 minutes, stirring every 15 minutes. The granola should be evenly browned. Stir in orange slices and white chocolate chunks.